Haha, I remember this Intro. 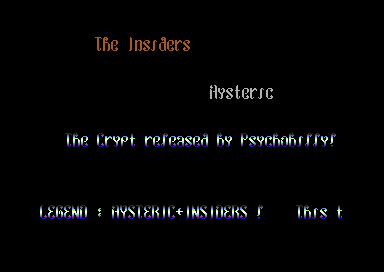 Psychobilly had 2 first releases at home but no Intro for this new cooperation. I really coded this "intro" in 3 minutes and transfered the intro via modem to him.